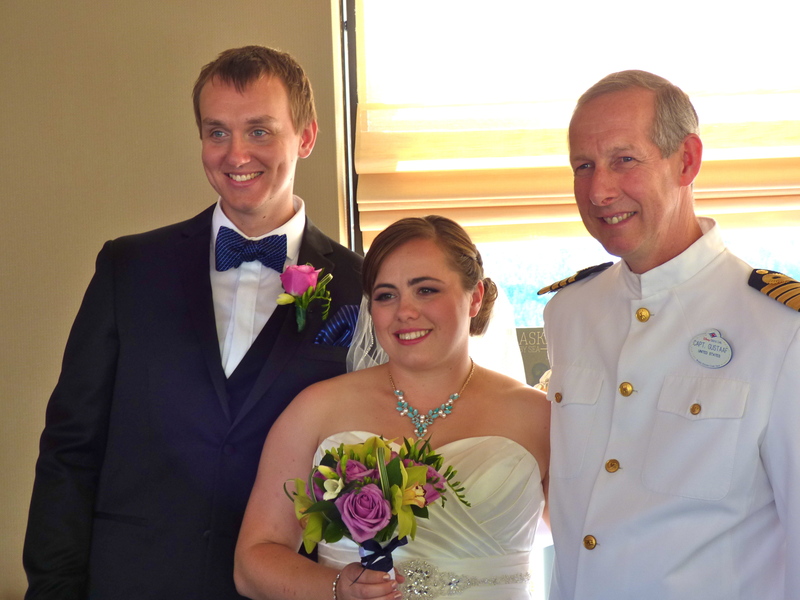 … in Alaska… On a boat… A large boat… Watching my daughter get married. 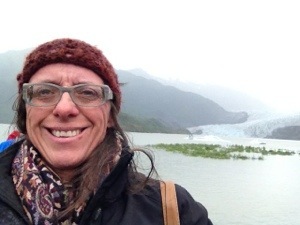 The coolest part about this photo is not that there’s a glacier behind me or that it was actually quite chilly, but that the hat I’m wearing was made by the lovely Leola from wool produced from our sheep!! Getting married by Captain Gus aboard the Disney Wonder is a pretty fun way to get the job done! It was lovely to spend some time with family away from the responsibilities of home. Many thanks to Jo and Marcel who held the fort while we were gone! This entry was posted in Travel, Uncategorized and tagged cruise ship, disney wonder, wedding. Bookmark the permalink. Thanks! There were lots of smiles all week long!